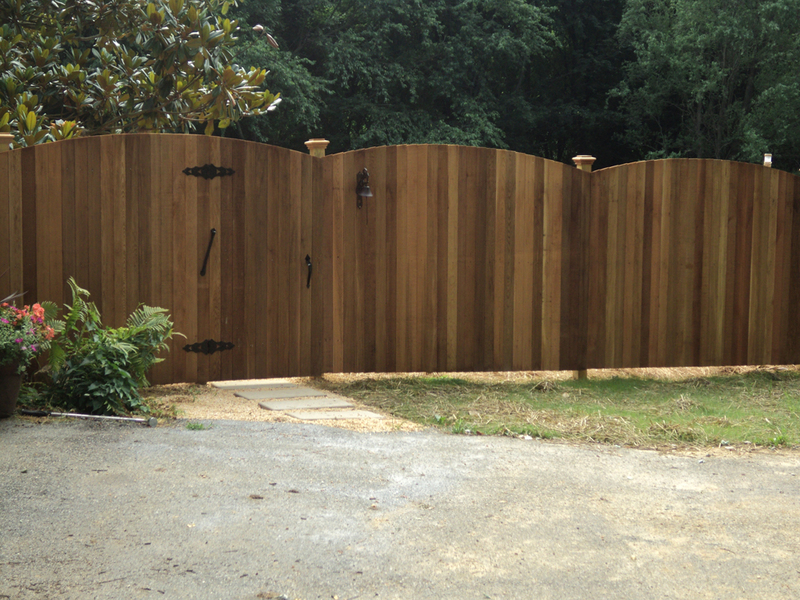 From Wood fences to Security and Access Gates. Add value to your property and security. Krupansky Fencing can install commercial fencing and gates as well. 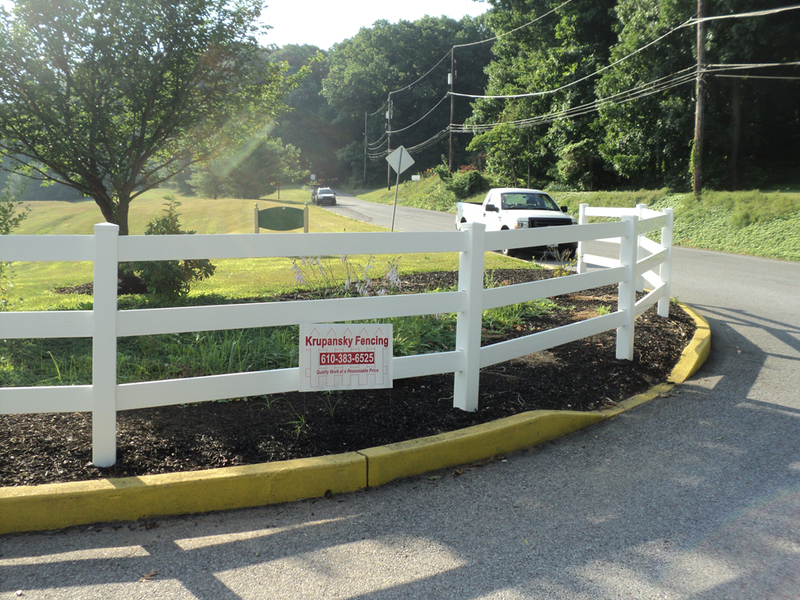 Since 1986 Krupansky Fencing has worked to serve Chester County and its surrounding towns with the best possible fencing services. We provide only the highest quality fencing for both residential and commercial use. At Krupansky Fencing, we want to be sure our clients are 100% satisfied with their new fence from start to finish. That is why we also offer custom fencing and gates. Our experienced welder can create anything you can imagine, so don’t hesitate to ask if you desire a system not listed on our site. Krupansky Fencing has been serving Chester County’s fencing needs for over 23 years now and we are proud to be your hometown fence experts. Distinctly different area ownership and secure fencing patterns arose within the eastern and western Us. Original fence laws around the east coast were based on the British common legislation system, and rapidly increasing population quickly resulted in laws requiring livestock to become fenced in. Within the west, land ownership habits and policies reflected a solid influence of How to speak spanish law and custom, plus the large land area concerned made extensive secure fencing impractical until mandated by way of a growing population in addition to conflicts between landowners. The "open range" traditions of requiring landowners for you to fence out undesirable livestock was dominant in the vast majority of rural west until eventually very late within the 20th century, and also today, a few isolated parts of the west nonetheless have open range statutes around the books. More not long ago, fences are generally constructed around the surveyed property range as precisely as possible. Today, across the country, each state is absolve to develop its unique laws regarding fences. In many conditions for both outlying and urban property owners, the laws were built to require adjacent landowners to share with you the responsibility for maintaining a standard boundary fenceline. Currently, however, only twenty-two states have retained that provision. Ownership of a fence on the ownership boundary ranges. Generally title manners will show which often side owns the particular fence, using a "T" symbolic representation (the leg from the "T" points towards owner). Commonly the cladding is with non-owners side, enabling use of the posts for that owner when repairs are needed. Where a wall or hedge comes with an adjacent ditch, the ditch is commonly in the same ownership as the hedge or fence, with the property boundary being the edge on the ditch furthest through the fence or hedge. The principle on this rule is that an owner digging some sort of boundary ditch will probably normally dig it around the very edge in their land, and must after that pile the spoil automatically side of the ditch to avoid trespassing on their particular neighbour. They may then erect a fence or hedge around the spoil, leaving your ditch on it is far side. Conditions often occur, for example where a parcel of land derives from subdivision of a larger one down the centre line of any previously-existing ditch or even other feature. In the usa, the earliest settlers claimed land through fencing it within. Later, as the actual American government formed, unsettled land grew to be technically owned because of the government and programs to register land ownership produced, usually making raw land readily available for low prices or free of charge, in the event the owner improved the house, including the construction of fences. Nonetheless, the remaining vast tracts of unsettled terrain were often used being a commons, or, inside American West, "open range" Seeing that degradation of habitat developed on account of overgrazing and a tragedy with the commons situation came into being, common areas begun to either be invested in individual landowners via mechanisms for example the Homestead Act as well as Desert Land Act and guarded, or, if kept in public areas hands, leased for you to individual users regarding limited purposes, with fences developed to separate tracts of public and exclusive land. Synthetic materials used for residential fences is usually in a strong cast form, or even a reinforced hollow track design that resembles sawn timber, Most often extruded profiles. 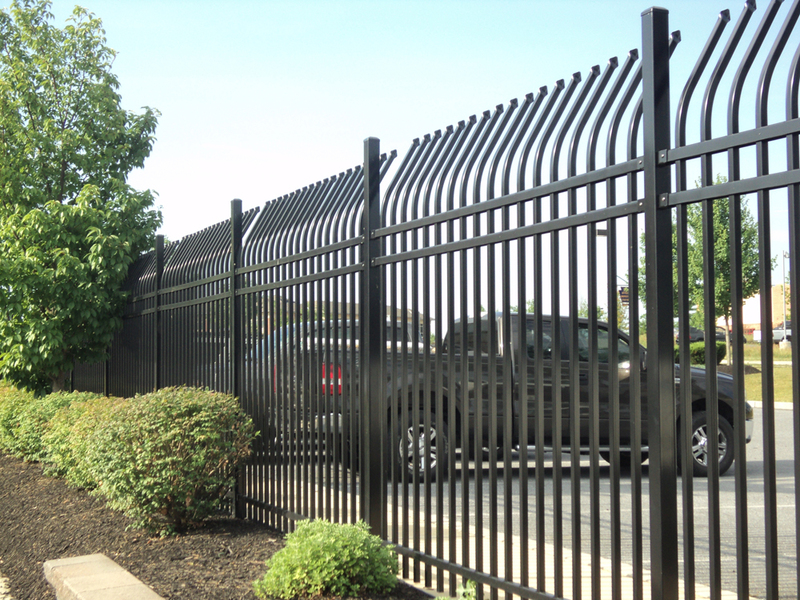 Higher quality vinyl fence parts are ribbed or include reinforcements, typically of aluminum, with regard to added strength. Intended for agricultural use, synthetic fencing can include things like a heavy manufactured strapping product inlaid using cable, synthetic-coated high-tensile cable, or a synthetic coating more than a wood or material rail or cedar. Residential synthetic fencing products usually are hollow, and as a result too fragile to help contain livestock, however, many designs may be made for containing dogs or even other pets. Residential grade rails are also made of a thinner materials. Servitudes are legal arrangements associated with land use arising beyond private agreements. Under the feudal system, most land in England was cultivated in accordance fields, where peasants were allocated strips regarding arable land that had been used to support yourwants of the nearby village or manor. By the sixteenth century the particular growth of populace and prosperity provided incentives for landowners to work with their land throughout more profitable means, dispossessing the peasantry. Common grounds were aggregated in addition to enclosed by big and enterprising farmers—either via negotiation among another or by lease on the landlord—to maximize the productivity of the available land and also contain livestock. Fences redefined the means through which land is utilised, resulting in the present day law of servitudes. A chain-link fence (also known as wire netting, wire-mesh fence, chain-wire fence, cyclone fencing, hurricane fence, or diamond-mesh fence) is a form of woven fence usually created from galvanized or LLDPE-coated metal wire. The wires run vertically and so are bent into any zig-zag pattern to ensure that each "zig" hooks with the wire immediately one side and each "zag" using the wire immediately within the other. This forms your characteristic diamond pattern seen in this fence. n britain the firm connected with Barnard, Bishop & Barnard ended up being established in Norwich to generate chain-link fencing by simply machine. The process was developed by Charles Barnard in 1844 based on cloth weaving devices (up until that time Norwich had an extended history of towel manufacture). Anchor Fence (established throughout 1898) bought the rights to the machine, and was the first US company in order to manufacture chain-link fencing in the states. Anchor Fence, also holds the very first US patent of chain-link. The machine was purchased coming from a man in 1845 coming from Belgium who at first invented the cord bending machine. Servitudes are legal arrangements involving land use arising away from private agreements. Beneath feudal system, most land inside England was cultivated in common fields, where peasants ended up allocated strips involving arable land that were used to support the wants of the community village or manor. Through the sixteenth century this growth of population and prosperity offered incentives for landowners to make use of their land inside more profitable ways, dispossessing the peasantry. Common grounds were aggregated along with enclosed by significant and enterprising farmers—either by means of negotiation among each other or by lease through the landlord—to maximize the productivity on the available land and contain livestock. Fences redefined the means in which land is applied, resulting in present day law of servitudes. A chain-link fence (also known as wire netting, wire-mesh wall, chain-wire fence, cyclone containment system, hurricane fence, or diamond-mesh fence) is a type of woven fence usually made from galvanized or LLDPE-coated material wire. The wires run vertically and are bent into a zig-zag pattern so that each "zig" hooks with the wire immediately using one side and each "zag" using the wire immediately within the other. This forms this characteristic diamond style seen in this kind of fence. n britain the firm connected with Barnard, Bishop & Barnard had been established in Norwich to provide chain-link fencing simply by machine. The process was made by Charles Barnard in 1844 depending on cloth weaving machines (up until the period Norwich had a good history of material manufacture). Anchor Fence (established with 1898) bought the rights towards machine, and was the very first US company to be able to manufacture chain-link fencing in the united states. Anchor Fence, also holds the primary US patent associated with chain-link. The machine was purchased from the man in 1845 by Belgium who actually invented the line bending machine.